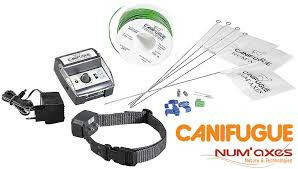 Electric invisible fence CANIFUGUE is the device with the largest number of features on the market. 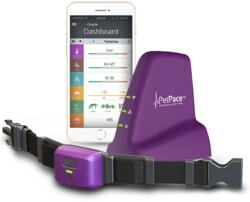 It has the 8 levels of the pulse and setting zone for notification (sound) and correction (pulse) separately. It has a waterproof and fully submersible receiver, suitable for humid environments that can handle submersion under water. 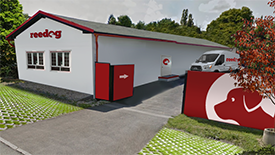 Electric fences CANIFUGUE French company NUM'AXES® form a reliable contactless fence system in Europe. 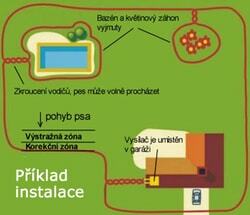 The invisible fence is made for its quality for over 15 years and in that time has got many satisfied users. 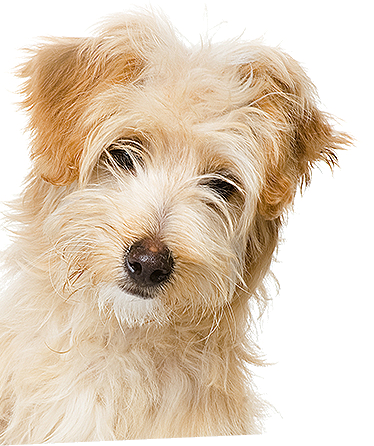 Pet at School is suitable for dogs from 5 kg to 50 kg, thanks to the 8 levels of adjustment force impulse. Before the correction zone is zone warning. At the sound of the dog alerted to approaching a prohibited area. 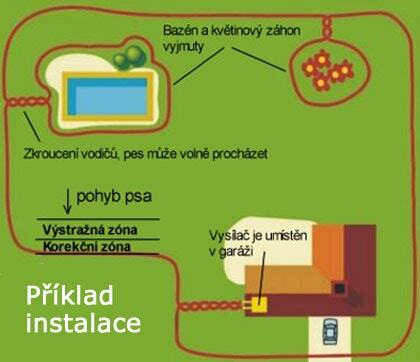 Both of these areas are adjustable on the base, which is unique among electronic fences. 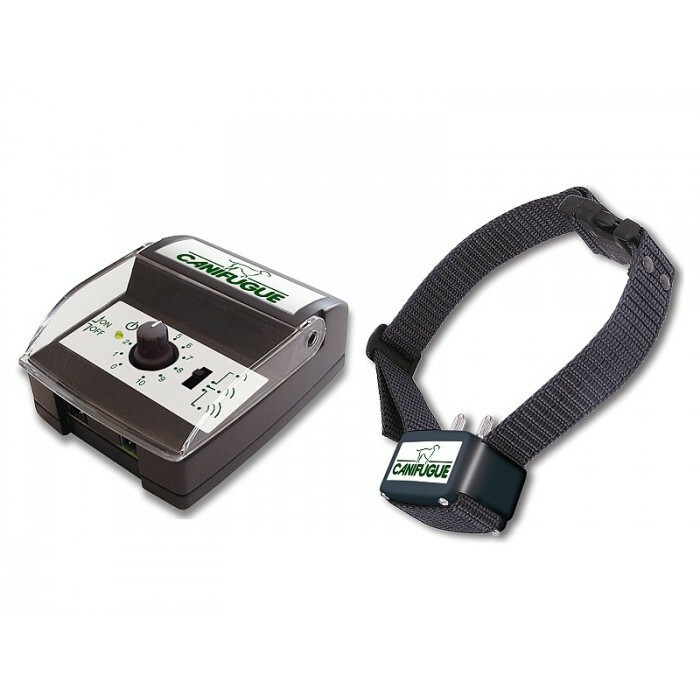 Total area, you can disable the dog is adjustable from 30 cm to 4m. 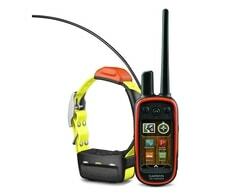 The receiver is powered by a 3V battery, type CR2, which can remain in continuous operation 3-6 months. 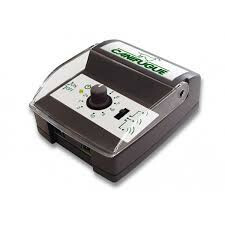 On the receiver, under the battery cover, there is a button to change the level of the pulse. The base, sending a signal to the wire is fed from the network adapter. Setting on the size of the warning and the correction zones. 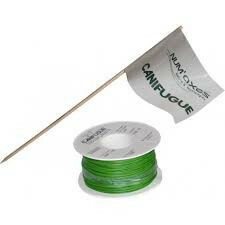 CANIFUGUE has the option to set a correction and warning zone separately. This is a unique opportunity that others do not offer fencing. 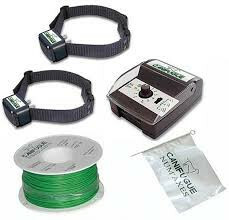 So you can only use minimal warning zone, which is particularly suitable if the small plot of land, the dog grubs under the fence, or spend too much time in the warning zone and the drain on the battery (which is not uncommon). 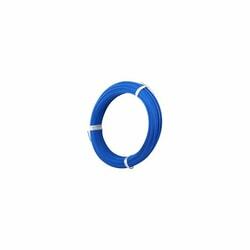 The width of the zone is adjustable on the base, and in the range from 30 cm to 4 m, depending on the type of installation and the length of the wire. You can set one of the 8-level pulse. 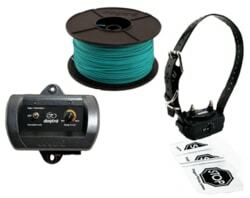 Simply set the collar and tailored specifically for your dog. 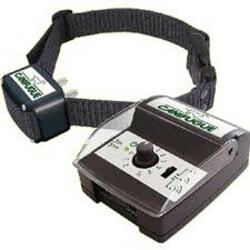 Power pulse, you can always increase or decrease by a switch on the receiver. 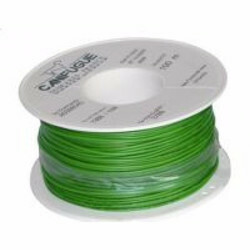 The basic package contains CANIFUGUE 100 m insulated wire cross section 0.5 mm, which is fully sufficient for most installations. 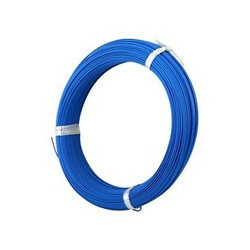 If the wire in the package is not sufficient, it can be easily connected to a distance of 800 meters. 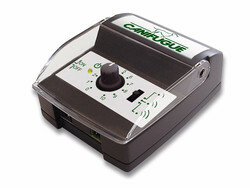 CANIFUGUE receiver is powered by a 3V battery, type CR2. 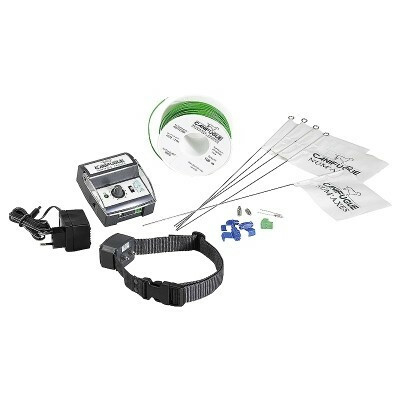 The battery is easily accessible and can remain in operation during normal use 3-6 months. Its replacement is easy, hiding under the Removable cover that is attached screws. The base is powered from the network. 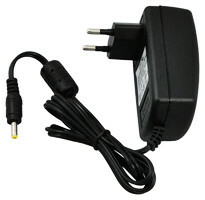 You can buy a backup power supply with battery for operation during a power outage or unavailable network resources. 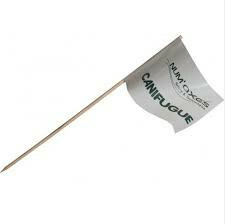 CANIFUGUE has a fully submergible receiver and its use is recommended in the rain and very humid environment. 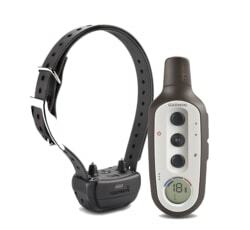 The dog with the receiver can jump into the pool and swim indefinitely. 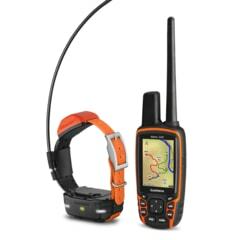 The base is waterproof, it is recommended to place it in a dry environment. It can also be placed outside, but so that it did not rain. 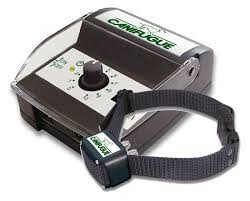 CANIFUGUE can be used for an unlimited number of dogs. 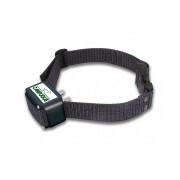 With the purchase of other collars you can simply extend. 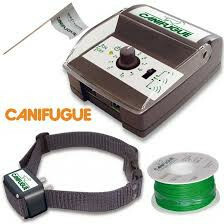 CANIFUGUE has a very nice quality dog collar made of nylon. 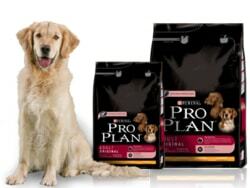 The dog does not wear his problem a good hold on the neck. 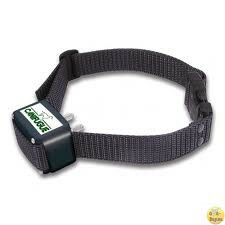 Collar length is adjustable from 10 to 70 cm. The base has a width of 13.1 cm, height 11.7 cm and depth 4.1 cm. 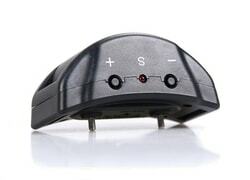 The receiver has a width of 6.3 cm, height 4.2 cm and depth of 3.1 cm and its weight is 82 grams.